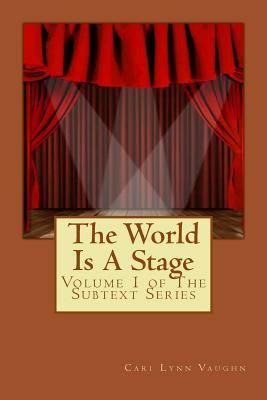 Cari Lynn Vaughn shares her personal journey in The World Is A Stage. Volume One begins in September of 1991 when she auditions for a part in the school play. She grows from a naive 15 year old to a 16 year old burdened by issues beyond her age. Unrequited love becomes the catalyst for her painful growth into adulthood. Cari also chronicles her battle with depression in the pages of her diary, nearly succumbing to darkness before finding her feet again in the Spring of 1993.